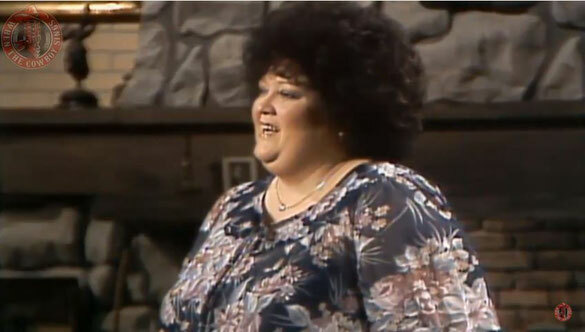 Lulu Roman performs "He Was There All The Time" on Hee Haw. Lulu Roman performs "He Was There All The Time" on Hee Haw. 1979. Lulu Roman is a comedian and singer. She is probably best known as a regular on the comedy-music show Hee Haw (1969). During her stint on Hee Haw, she went through a bout of drug addiction, which resulted in her absence from the program for several seasons during the middle portion of its long run. She cleaned up and converted to Christianity, after which she began singing.This led to a career as a singer of Southern Gospel music; Roman has recorded several albums, although she never trained as a singer. In 1999 Lulu Roman was inducted into the Country Gospel Music Hall of Fame with fellow artists Andy Griffith, Barbara Mandrell, David L. Cook, Gary S. Paxton, Loretta Lynn, Jimmy Snow and Jody Miller. Time after time I went searching for peace in some void. All my ills on this world I was in. Surface relationships used me 'til I was done in. To free me from sin. Never again Will I look for a fake rainbow's end. My life is just starting to rhyme. And oh what I missed, He's been waiting right there all the time.